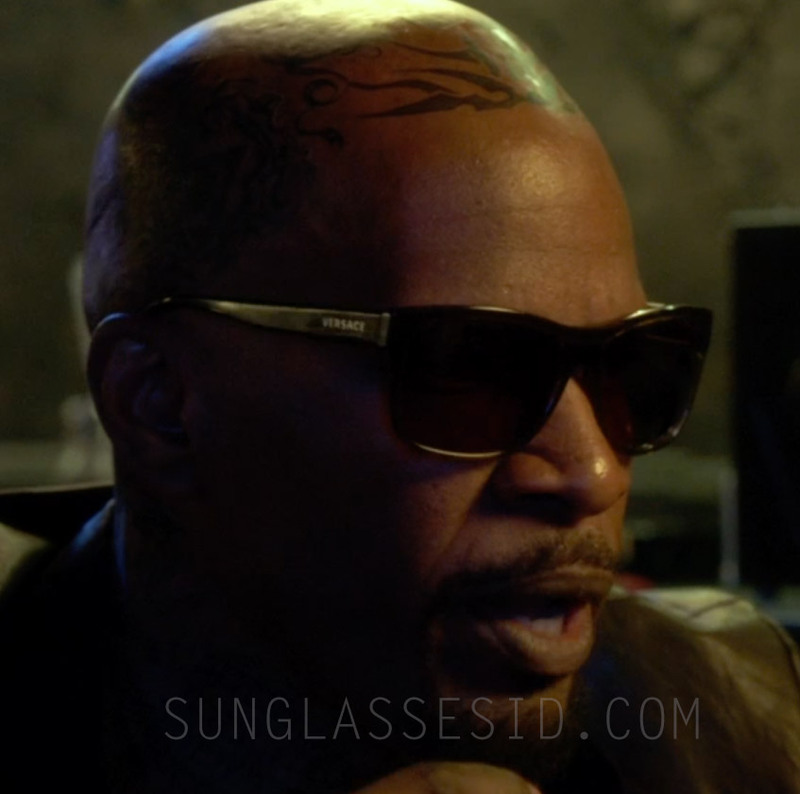 Jamie Foxx wears a pair of Versace 4179 sunglasses in the 2014 movie Horrible Bosses 2. These Wayfarer style glasses from Versace were available in black and tortoise shell (havana). Jamie Foxx wears the model with tortoise frame. The 4179 model is currently not produced anymore, but (the black version) can only be found on eBay.